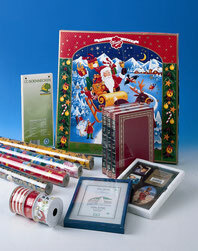 The particularly versatile Clarus product line offers the right film for every shrink application. Even the most difficult products receive an optimally glossy, sales-promoting and protective packaging which is unparalleled. For both food and non-food applications, Clarus offers you the important seal of authenticity, which customers are justifiably keen on. 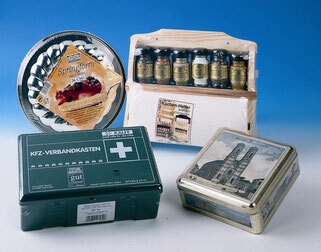 All Clarus films meet the European regulations for direct food contact and are easy to recycle. They are characterized by high transparency, strength, brilliance and a higher temperature resistance. Thanks to their strong seams and their excellent shrinking properties, they offer optimum protection for the packaged goods during storage and distribution. CLARUS 110GG is a single-layer, biaxially oriented film consisting of OLLDPE (oriented linear low density). CLARUS 770 as well as the Clarus 880 is a multilayer, biaxially oriented film consisting of OLLDPE and polypropylene. CLARUS 660 as well as the Claurs 760 is a multilayer, biaxially oriented film consisting of OLLDPE and polypropylene with slightly stump surface. As an exclusive partner of FIBOPE, we can offer one of the best polyolefin shrink films, with our Exlfilm delivery program. Technologically at the highest possible stage of development and with a property portfolie is the same. The high-tech multi-layer film with very good shrinking and welding properties. This film runs on nearly all standard shrink packaging systems with pulsed and permanently heated tools and always delivers outstanding results. Electrostatic sealing is possible with this film. Shrinks quickly and perfectly at low temperatures. Particularly suitable for complex products. The high-tech multi-layer film with very good shrinking and welding properties. This film runs on nearly all standard shrink packaging systems with pulsed and permanently heated tools. Through our Syfan partner, we can act as exclusive partners for major markets in Europe. The Sytec delivery program offers one of the best polyolefin shrink films. Technologically at the highest possible level of development and with a portfolio that is unparalleled. Whether multilayer or cross-linked. From strong to weakly shrinking. All of this covers the Sytec films. SYTEC MAX is a cross-linked shrink film with its versatile functionality that combines the characteristics of shrinking with exceptional strength. It offers outstanding processing properties on all standard manual, semi-automatic and fully automatic packaging machines. Even low welding and shrinking temperatures are sufficient to achieve firm weld seams and perfect shrinkage. An optimized coefficient of friction allows the applications of this type of film to meet high requirements for lubricity. This slightly shrinking film is particularly suitable for products which must be shrunk in a very short time and with low shrinking forces. SYTEC MVP is a shrink film with a huge application spectrum and optimized for low shrinking forces. SYFRES 701-AF is a biaxially shrinking polyolefin shrink film with antifog properties. This innovative film has been specially developed for fresh products as well as refrigerated and frozen food packaging. The formulation of this film ensures outstanding results on flow pack machines even at high speeds.